Coverage: Watch live across BBC Two, BBC iPlayer, BBC Red Button, Connected TV, the BBC Sport website and mobile app. 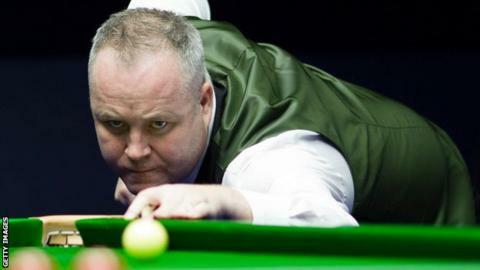 Andy Murray’s impending retirement has given fellow Scot John Higgins a “kick up the backside” and convinced him to prolong his snooker career. Higgins, 43, had said he would consider his future at the end of the season. Higgins added that the injuries suffered by three-time tennis Grand Slam winner Murray, who will retire this year, had changed his view. “I think that just gives you a new perspective on your own sport, thinking that snooker players will never have to give up the game through injury,” he said. The four-time world champion has lost consecutive world finals and reiterated that the defeats “knocked a good bit out of him”, but says talk of retirement was “spur of the moment”. He faces Welshman Ryan Day in the first round of the Masters at 19:00 GMT on Sunday, as the world’s top 16 players compete at Alexandra Palace in London. Despite being a two-time winner of the event, Higgins says he always arrives at the tournament with “trepidation”. “I’ve never really come to this tournament really pumped up for it, because I’ve got a poor record in it,” he told BBC Sport. “But it’s a tournament you’ve got to really enjoy. It’s the creme de la creme;, every player you face is a potential finalist,” he said. Higgins believes Day’s recent breakthrough as a ranking event winner makes the world number 13 a tougher opponent. “He’s a very attacking player, and a winner now so that’s given him more confidence in these big events. He’s a dangerous player for anyone,” he added.